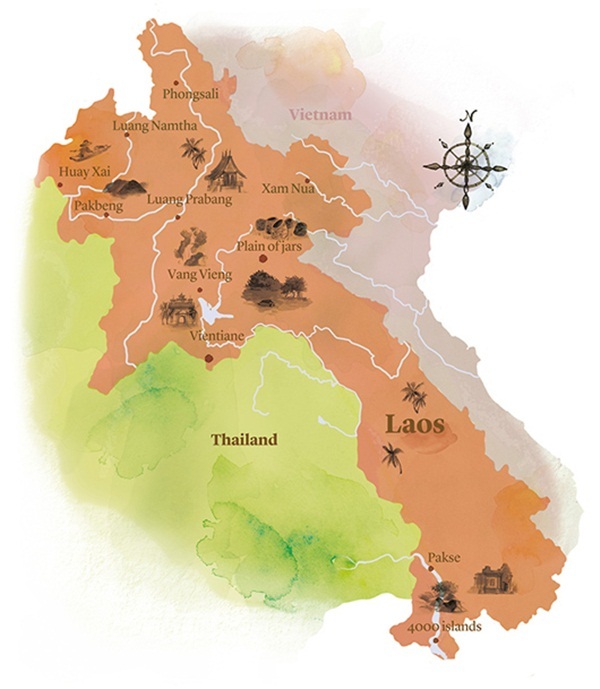 The capital of Laos is located in the northwest of Laos with a dry season and a wet season typical. The dry season is from October to the end in April next year. The rainy season here starts from May to late September. Time between November and February is the most comfortable, sunny days in here. The wet season in Vientiane runs generally from around May to October (June to August are the wettest months). As many areas in Laos, the weather is characterized by a sharp downpour for a few hours a day, rather than all-day continuously downpours. Located on the banks of Mekong River, Vientiane is actually one of the areas that get a bit more rain. This instinct monsoon time wreak havoc muddy roads, landslides. Land road traffic tends to be slow. Travel time for road routes can double trouble. On the upside, the rainy season brings lovely green landscape to Vientiane. As the rain won’t last all day every day, there will be clear sky with stunning mountain, rice paddies bursting with neon green. Travelling in this wet season in Vientiane may be challenging but it will be rewarded with beautiful attractions in amazing green landscape. On the upside, boat transport comes into its own during the great wet. You do not want to miss the biggest and most significant festival in Lao boat racing, takes place every years during September and October. Many villages around Vientiane with racing boat take part in the race at this festival. 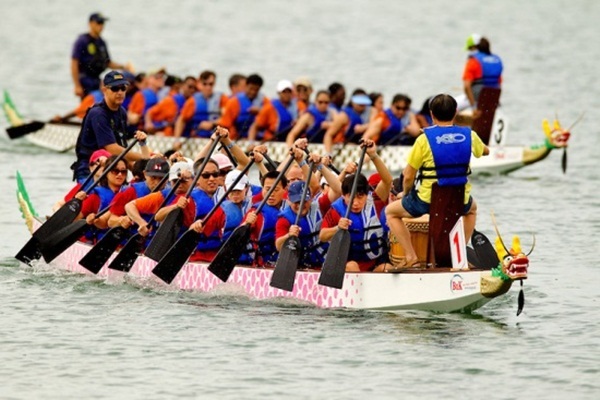 Obviously, this festival is not just about racing boats, it is a local celebration with traditional food. 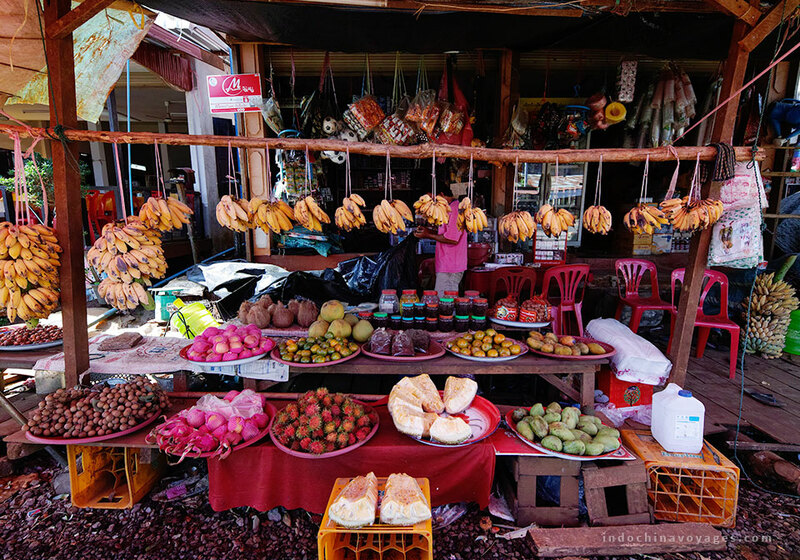 Laos’ dry season has two distinct periods: the cool dry season and then the hot dry season. The cool dry season runs from late October to February and the hot dry season spans from March to April. November is the first month of the cool dry season and also an excellent time to visit the Vientiane and the whole of Laos. 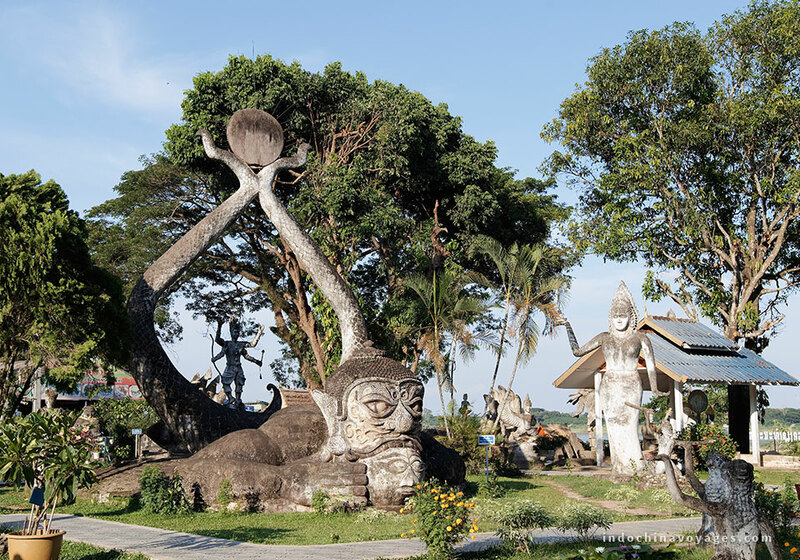 At this time, heavy rainfalls have passed, leave the green and lush to this laid-back capital. The average temperature is around 25°C with dry conditions throughout the city. This is a very pleasant time of year in not only Vientiane but Laos. If you have chance to stay in Vientiane at this time, you cannot miss Boun That Luong Festival. 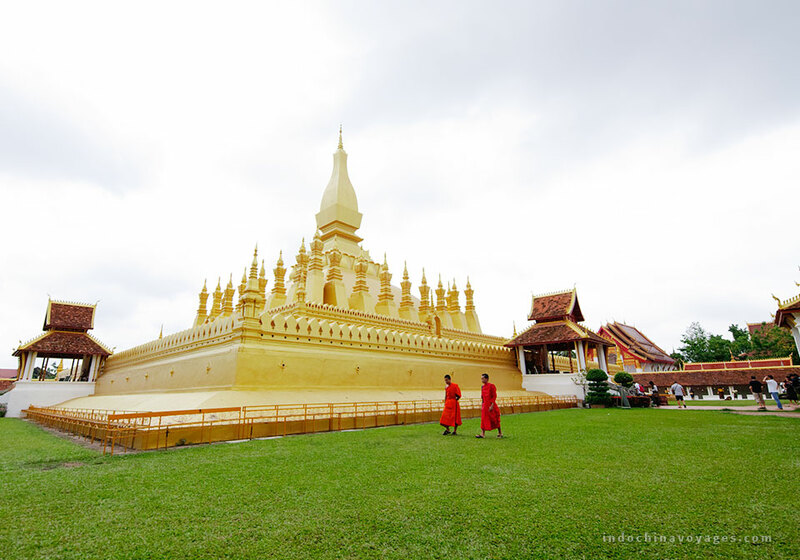 This is a Lao Buddhist celebration and the largest national holiday in Laos. For those interested in Lao culture, it is a good opportunity to observe the culture through Lao festivals. In over three days during the full moon of November, the twelfth lunar month, thousands of monks and pilgrims from all over Laos descend on the gold-covered Grand Stupa (Pha That Luang) in Vientiane for receiving and giving alms in this occasion, one of the most sacred moments of the festival. The period March to May, before the monsoon, is the hottest time of the year. April is the hottest month, with average highs about 35 °C, which has a greater continentally. Be prepared to this blisteringly hot. The cool, dry season on the other hand is an excellent time to go. You must know that local festivals or celebrations in Laos are in almost every month of the year. Held in the mid of April, the rocket festival in Vientiane Province is an exciting, noisy and colorful festival. The locals want to pray for rain to help promote the production of rice crops for next coming planting season. It is a traditional event that is meaningful and important in religion of people in Vientiane. It is essential to know what weather to expect across the country. The best time to visit Vientiane perhaps is in November to February. But Vientiane is city of festival in every months of the year. Knowing about the weather local and be prepared for it, you will not miss any events or celebrations that you want to join in any months of the year.